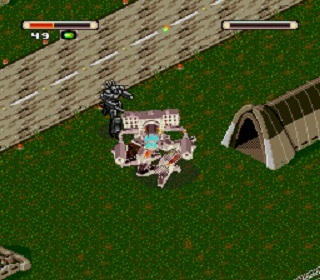 OverviewThe second SNES game in the MechWarrior franchise. 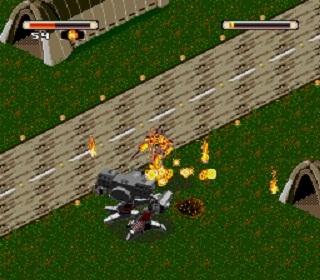 It traded the series trademark cockpit simulation view for an isometric perspective and a more action oriented focus. 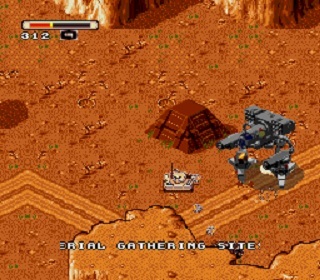 It was released on the genesis under the alias BattleTech: A Game of Armored Combat. 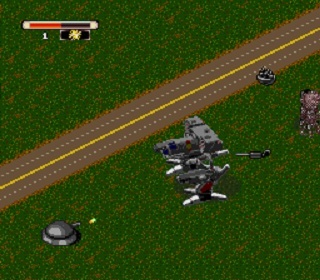 Mechwarrior 3050 is an isometric top down action game. 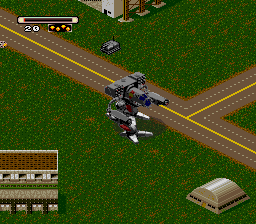 You are the pilot of a Mad-Cat mech completing missions issued to you by your commanding officer. 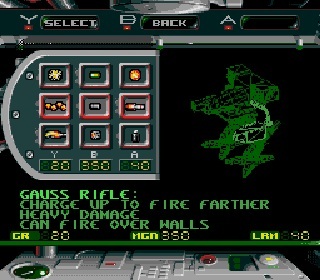 Before you start a mission, you are given a choice on what weapons you want to take with you, there are 3 different categories each with 3 choices for a total of 27 different weapon combinations, not too bad for a game made in 1995. 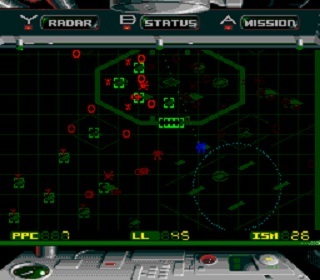 Once you're done choosing your weapons, you are dropped in a large open area where you must complete the various objectives you received during briefing. 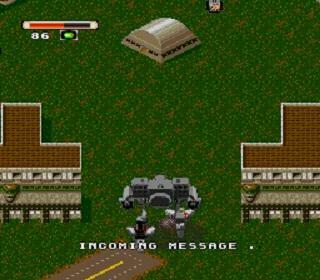 Thanks to the large areas and objective based progression, levels have a very open feel to them and give a lot of room to maneuver around. Now you can add videos, screenshots, or other images (cover scans, disc scans, etc.) 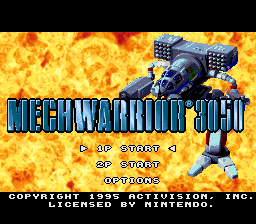 for Mechwarrior 3050 (USA) to Emuparadise. Do it now! If you haven't noticed yet, we have a retro game of the day feature (top-right of the screen) wherein we feature a new retro title every single day! Now, you can vote for your favorite games and allow them to have their moment of glory. 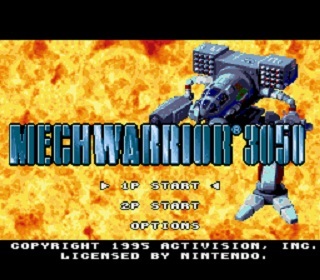 Click on the button below to nominate Mechwarrior 3050 (USA) for Retro Game of the Day.